Sean John fragrance and perfume list. Sean John fragrances: by Estee Lauder until 2014 then licensing went to Jacavi Beauty Group. Shop for perfume: Macy's - Accesorize at Macy's! | Walmart - Introducing FREE 2-Day Shipping at Walmart.com! 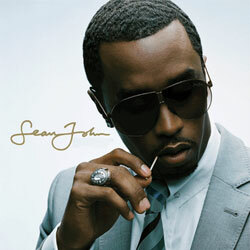 Sean John is a lifestyle company created in 1998 by rapper and music mogul Sean Combs. In 1999 he launched his first men's sportwear collection, and his first fragrance, Unforgivable, in 2005.